I've developed a problem over the last decade, or so. 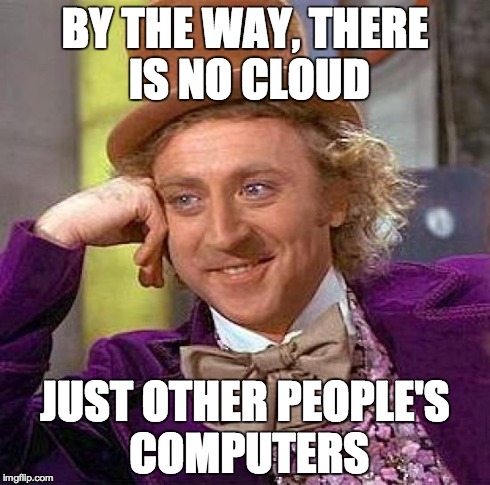 When I hear people use the cloud in both technical and non-technical discussions, I immediately space out and wonder to myself what they could possibly mean. Maybe it's the computer scientist in me. What is the cloud? What is their meaning of the use of the word cloud? Is their meaning the same as it was 5 minutes ago? Is there only one cloud? Why are they using it in every other sentence? Do they mean AWS, Google, or Microsoft? A specific API or service? A bit facetious? Sure. But, let me explain. 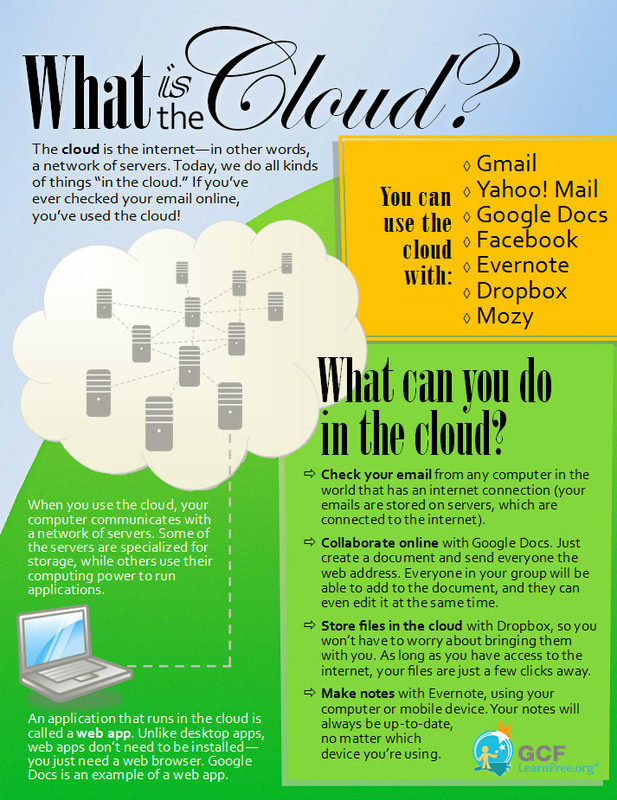 Let me elaborate with an example, and I'm going to pick on this image from GCFLearnFree.org, that arguably tries to break down what the cloud is into very simple terms and let you know when you're using the cloud. The cloud is the internet - in other words, a network of servers. Oh. So, the cloud is just another term for the internet. If you've ever checked your email online, you've used the cloud! Holy moly. This is amazing. I think that means if you're reading this right now you're using the cloud as well. 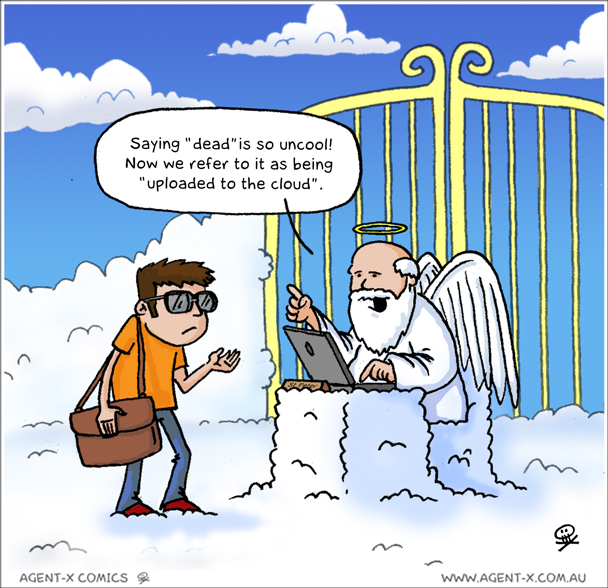 Or, are you in the cloud? What can you do with the cloud? In meteorology, a cloud is an aerosol comprising a visible mass of minute liquid droplets or frozen crystals, both of which are made of water or various chemicals. Wait, that's not right. I mean, it is completely right, but still not right. How about cloud computing instead? Cloud computing is a type of Internet-based computing that provides shared computer processing resources and data to computers and other devices on demand. [...] Cloud computing relies on sharing of resources to achieve coherence and economy of scale, similar to a utility (like the electricity grid) over an electricity network. So, basically it's a type of Internet-based computing that ultimately has to do with sharing resources and economy of scale when it comes to those resources. No new technologies? Not a specific thing? It's not powered by unicorns? On to my favorite part on Wikipedia - the origin of the term. 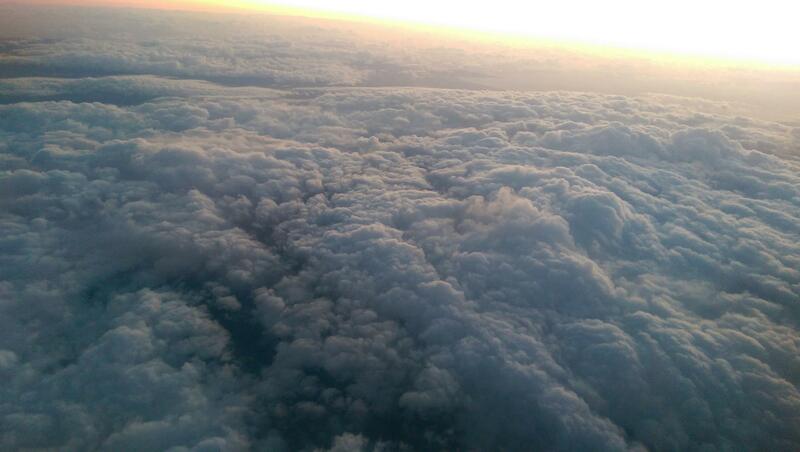 The origin of the term cloud computing is unclear. The word "cloud" is commonly used in science to describe a large agglomeration of objects that visually appear from a distance as a cloud and describes any set of things whose details are not further inspected in a given context. Another explanation is that the old programs that drew network schematics surrounded the icons for servers with a circle, and a cluster of servers in a network diagram had several overlapping circles, which resembled a cloud. In analogy to the above usage, the word cloud was used as a metaphor for the Internet and a standardized cloud-like shape was used to denote a network on telephony schematics. Later it was used to depict the Internet in computer network diagrams. With this simplification, the implication is that the specifics of how the end points of a network are connected are not relevant for the purposes of understanding the diagram. The cloud symbol was used to represent networks of computing equipment in the original ARPANET by as early as 1977, and the CSNET by 1981—both predecessors to the Internet itself. I couldn't have said it better. See, watch. The cloud is nothing. It's not a thing. It's abstract. It's a metaphor. It's a meme. It's a buzzword. All the physical stuff exists, and in more specific detail, without the use of the term. However, If you want to describe existing Internet and server technologies, features, and paradigms that you don't know about or care about, call it the cloud. Or, if you are into marketing and you need to sell a service running on a bunch of servers and you need it to sound like more than it is, you call it the cloud. If you've been running the same old Internet based company and you need to make it look new, call it the cloud. The cloud invokes a vision - not a description. It's, fluff. It's overused. And don't get me started on the Internet of Things.